The traditional teachings, values, and cultures of the American Indian and Alaska Native (AI/AN) people perpetuate an understanding of a holistic life process. Such teachings include gathering, growing and eating traditional foods, physical activities, and strong social support within their communities which provided the foundation for fostering a healthy lifestyle. Our Children’s Future is threatened by Childhood Obesity. According to a 2009 report by the Centers for Disease Control and Prevention (CDC) [Obesity Prevalence Among Low-Income, Preschool-Aged Children- United States, 1998-2008. MMWR Weekly], 31.2% of AI/AN four year olds are currently obese, which is a rate higher than any other racial or ethnic group studied. In June 2009, the Obesity Prevention and Strategies for Native Youth Initiative was launched by the National Indian Health Board (NIHB) as an effective and innovative way to address childhood obesity among AI/AN youth. Urged by Tribal Leaders and Tribal Organizations, NIHB is now leading the effort to reverse the devastating impacts of this epidemic for Indian Country. NIHB conducted a comprehensive literature review on childhood obesity among American Indian and Alaska Native populations. NIHB identified current programs targeting AI/AN childhood obesity. Conducted a secondary assessment to capture existing obesity prevention programs that may not have been identified during the literature review. In October 2009, NIHB and I.H.S. conducted the Overweight/Obesity Programs in Indian Country Survey. Preliminary results described additional Tribal programs in eighteen (18) states, 43.7% which addressed childhood and youth obesity. NIHB is currently developing a database of Tribal obesity prevention programs that will serve to inform best practices and programs models in Tribal communities, as well as to influence the further development of the initiative. In December 2009, the NIHB held the 1st National Obesity Prevention and Strategies for Native Youth meeting in Denver, Colorado. The goal of this meeting was to bring together experts in the field of childhood obesity and begin a national discussion on the issue. Experts in attendance included representatives from the Centers for Disease Control and Prevention, the Indian Health Service, WebMD, Kaiser Permanente, Head Start, the University of Colorado at Denver, the University of California at Davis, the National Institute of Health, the Notah Begay III Foundation, and the Tribal Chairman from the Grand Traverse Band of Indians. NIHB guided the formation of workgroups to address the specific areas of the initiative including media development, research synthesizing, web-based forum development, and the development of a Youth Advisory Council. The National Indian Health Board (NIHB) hosted a focus group/talking circle with youth, ages 13-17, from the Pascua Yaqui Tribe of Arizona. The focus group was attended by sixteen local youth who provided NIHB with current issues in their community that contribute to the increasing rate of childhood obesity. The NIHB has been hosting a series of meetings with youth ages 13-17 from five regions of the country to inform the agency on strategies to address childhood obesity prevention. Topics have included changes in the built environment in rural and urban settings, policy changes regarding school nutrition and community stores, and social networking targeted at generating discussion among youths about healthy living. The information collected will be shared with the Robert Wood Johnson Foundation upon completion. 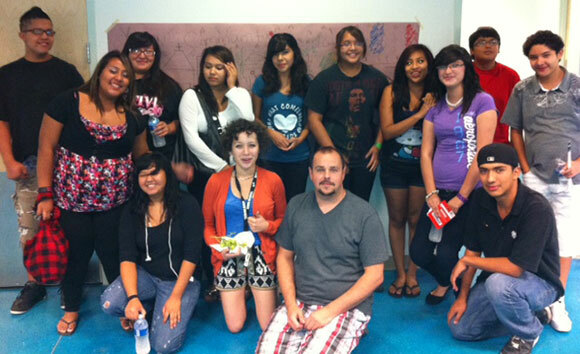 Please join NIHB in applauding our budding leaders from the Pascua Yaqui Tribe! 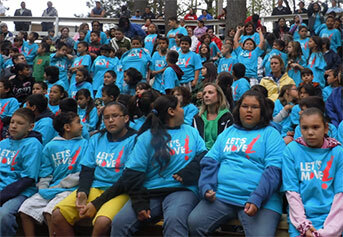 The LMIC initiative was launched on May 25, 2011 at 10:00 a.m. (CDT) at an event at the Menominee Nation in Keshena, Wisconsin where Interior Assistant Secretary – Indian Affairs Larry Echo Hawk was joined by the Office of the First Lady Let’s Move! Initiative Executive Director Robin Schepper, White House Office of Public Engagement and Intergovernmental Affairs Associate Director Charlie Galbraith, USDA Deputy Administrator for the Supplemental Nutrition Assistance Program (SNAP) Lisa Pino, and IHS Director for Improving Patient Care Program Lyle A. Ignace M.D., M.P.H. The LMIC campaign is designed to address four main goals: to create a healthy start on life, to develop healthy learning communities, to increase physical activity, and to foster healthy comprehensive food system policies. A useful toolkit was put together for individuals, schools, pre-schools, before and after school programs, private organizations, tribal nations, community groups, committees, councils, fundraising coordinators, administrators and management, urban Indian centers, tribal leaders, local elected officials or anyone interested in helping American Indian/Alaska Native children combat obesity. The toolkit is organized into the four main goals of LMIC. The contents of each step are briefly outlined at the start of each section. From there, various programs and funding opportunities are explained in further detail, often with step-by-step guides and checklists for accessing these resources. Many opportunities are straight forward and easy to implement, such as creating a community garden. Find the resources that best fit your community‘s needs and can be accessed with your operational capacity. The initiative targets Native American youth to introduce them to and help them sustain a lifestyle filled with physical activity and healthy nutrition. The primary goal is to increase levels of physical activity across the nation to effectively put an end to childhood obesity in a generation’s time. In addition to the toolkit and resource guide, LMIC strives to build on the strength of tradition in Native communities, and to address the health crisis that young American Indians and Alaska Natives are facing. Tribal governments, Urban Indian Centers, private businesses and the non-profit sector are each asked to play a key role by signing up to make commitments in each of our four target areas and working together to raise the next generation of healthy Native children through LMIC. This document outlines the specific opportunities each Tribal community has in helping to combat childhood obesity. 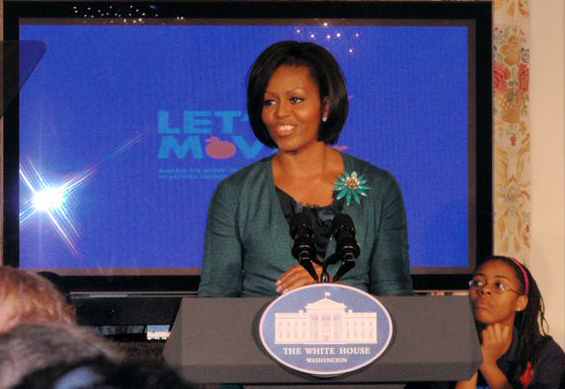 In support of LMIC, NIHB has signed a formal commitment form with the First lady’s Let’s Move! office and is dedicated to promoting the four main goals of LMIC. NIHB will continue to pursue ways to develop, promote and educate the LMIC main goals in all 565 federally recognized tribal communities. First Lady Michelle Obama today announced an ambitious national goal of solving the challenge of childhood obesity within a generation so that children born today will reach adulthood at a healthy weight and unveiled a nationwide campaign – Let’s Move – to help achieve it. To view the White House Press Video click here. As part of its efforts to raise the profile of childhood obesity in Indian Country and develop solutions for the problem, the National Indian Health Board has developed a position paper on childhood obesity. To view the document, click here. On May 11, 2010, the White House Task Force on Childhood Obesity released its report to the President: “Solving the Problem of Childhood Obesity Within a Generation” The National Indian Health Board submitted comments to the task force to address American Indian and Alaska Native (AI/AN) issues in response to a Federal Register notice. To view a copy of the report click here. To view a summary of the AI/AN provisions produced by NIHB, click here. For more information, contact National Indian Health Board Legislative Assistant Dennis Worden at 202-507-4087. Prior to adjourning for the Spring Recess, the Senate passed S.RES.412, which designates September as Childhood Obesity Awareness Month. Senator Kirsten Gillibrand of New York and Senator George Voinovich of Ohio cosponsored the Senate resolution that raises awareness of childhood obesity by designating “September as Childhood Obesity Awareness Month.” The resolution calls on Federal, Tribal, state and local governments to recognize the month and create programs and activities to address childhood obesity. Representative Marcia Fudge of Ohio has introduced a similar resolution in the House of Representatives, H.RES.996. Representative Fudge’s bill calls for similar action, and notes the epidemic in Indian Country, citing 39.5 percent of American Indian and Alaska Native children ages 2-5 are overweight or obese. The National Indian Health Board submitted comments and recommendations on the Task Force on Childhood Obesity specific to the Federal Register notice March 16, 2010, Docket USDA -2010-0001 on behalf of all youth and community members of Tribes nationwide. The document consists of a cover letter, the NIHB response to Federal Register Notice, and the NIHB childhood obesity survey conducted in December 2009. The NIHB also shared this document with the White House Office of Public Engagement and the Bureau of Indian Affairs. Click here to access the NIHB Comments and Recommendations for the Childhood Obesity Task Force.